Starting Friday, Sept. 28, Florida Fish and Wildlife Conservation Commission is expanding a recent catch-and-release only measure for snook and redfish to include Tampa Bay (including all of Manatee and Hillsborough counties), and all of Pinellas and Pasco counties. FWC is extending the catch-and-release only in an effort to save the fish population from toxic red tide. “It keeps the fishery strong, rather than just taking something and throwing it in the bottom of the boat and never eating it,” said local fisherman Russ Pouliot. 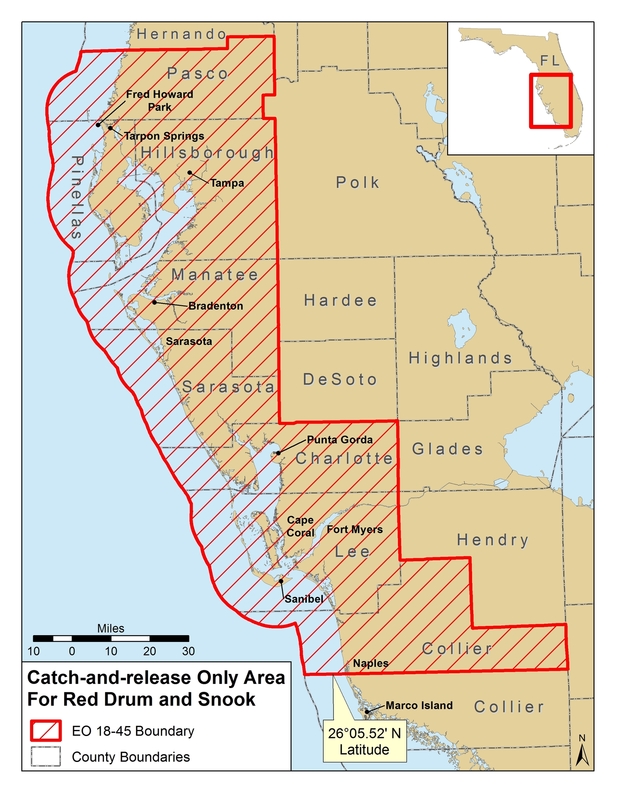 FWC is extending these measures though May 10, 2019, in these and other areas previously made catch-and-release for redfish and snook. “We used to do a weight tournament where people would actually come in and bring their fish in, and we would weigh them on the dock,” said CEO of Creighton Construction, Dan Creighton. Creighton said their redfish tournament for the Wounded Veterans Relief fundraiser this weekend won’t be based on weight. “We’ve had some measuring sticks now created so each boat can now measure and photograph the fish on the boat, to then release them to go out and make babies again without harming or endangering our fisheries anymore,” Creighton said. Neighbors like Pouliot say what FWC is doing is necessary. Previous articleIs spraying weeds in Central Florida lakes, contributing to Southwest Florida’s water crisis?